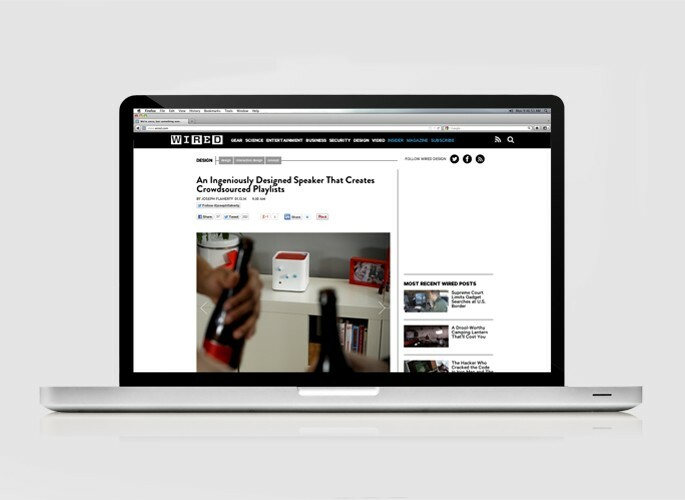 In an effort to align GEICO with the “Maker” mindset, while utilizing the buzz surrounding GEICO’s iconic, loved gecko, WIRED developed a partnership with 3D printing company Cubify to reimagine the Gecko as the eight WIRED Insider personalities. 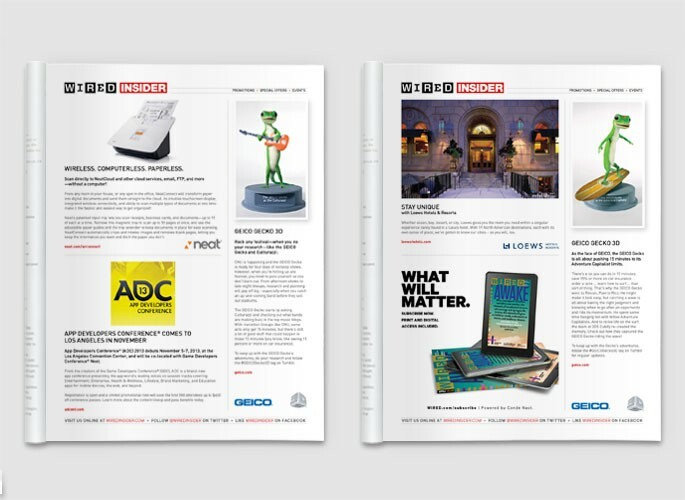 Print: A series of six 1/3 WIRED Insider in-book promotional listings were developed. Each installment within the series focused on a different WIRED Insider 3D GEICO Gecko. 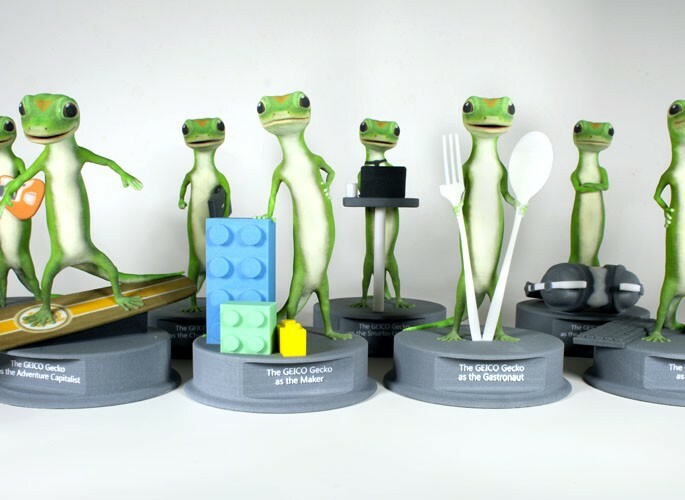 Digital: WIRED developed a custom gallery unit that showcased the 3D printing process and how each GEICO Gecko was made to represent the eight WIRED Insiders. Social: A customized WIRED Insider social campaign, allowed the WIRED community to share the 3D code of each Gecko and print their very own models at home.